Strictly limited to 8 students…….Please contact me to book….Scroll down to read more……. 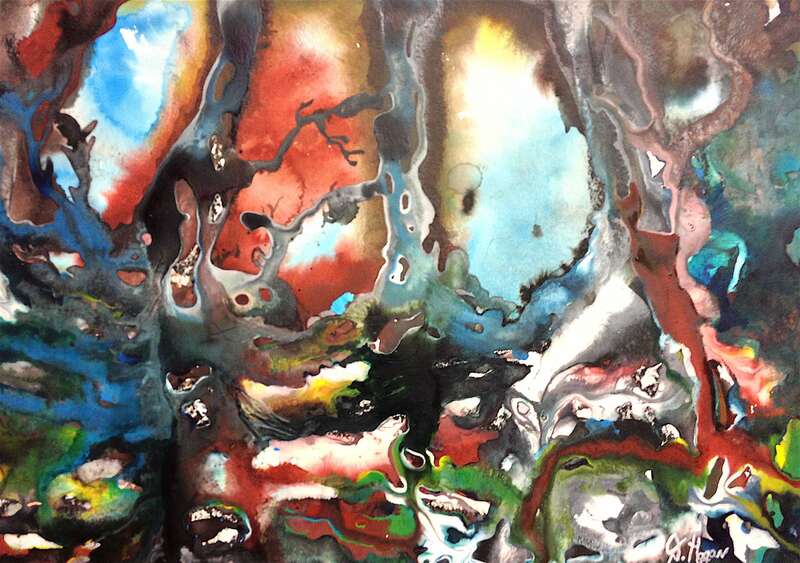 My love affair with Acrylic inks began several years ago when I was working on a body of work using Indian Inks on paper. During a happen-chance discussion with another artist he asked me if I had heard of Daler Rowney’s FW Acrylic Inks… I hadn’t but I soon got to know and love them. Rumour has it that the ‘W’ in FW stands for ‘Wonderful’ and I can fully agree! Learning to use Acrylic Inks on high quality, acid-free watercolour paper is a wonderful journey, as these inks have a huge range possibilities – no limits to your creativity! The inks are pigment-based giving super colour strength and fluidity. They’re quite similar to watercolours in many ways, but more versatile. Working under the professional guidance and encouragement of this award-winning artist, learn how to interpret your chosen reference image and how to easily create that image on fine quality watercolour paper and bring the whole painting to life – simply, easily and whilst having the most fun. Like Denise’s regular weekly classes you will learn how to look at Art, how to read Art and how to communicate with your materials. No artistic experience is necessary, but a willingness to ‘give it a go’ yourself is essential! Experience levels of students will be mixed but everyone will be working on their own image at their own pace so there is no pressure to keep up with anyone but yourself… Your teacher will guide and help you to find your own unique style of painting throughout the day. All the materials you will need are provided, including paints, brushes, paper, boards, sketching materials and image library. You are invited to bring your own image to inspire you to give yourself a ‘head start’ on your day. Please contact me to book….